*This concert has been rescheduled for Sunday, March 3 at 4 PM in the Nelson Music Room, East Duke Building. * Program: Prokofiev: Violin Sonata No. 1 in F Minor and the premiere of composer Bill Robinson's Violin Concerto No. 2. 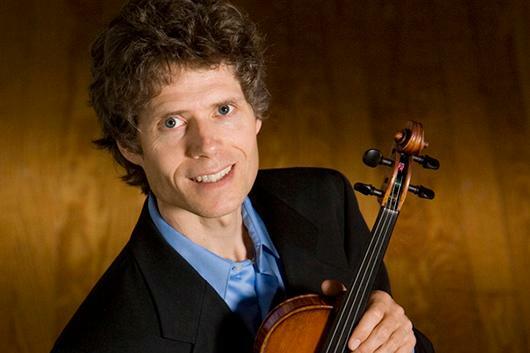 As First Violinist of the Ciompi Quartet, Eric Pritchard performs regularly throughout the U.S. and abroad and can be heard on many commercial recordings. He has appeared as soloist with orchestras including the Boston Pops, Orchestra of New England and Indianapolis Philharmonic. Randall Love is a member of the Duke University music faculty where he teaches piano and fortepiano. He has been heard in this country as a soloist and chamber player in events ranging from performances on period instruments to contemporary concerts featuring North Carolina composers. He has performed at the Piccolo Spoleto Festival in Charleston, SC; the Boston Early Music Festival; and the Schubert Club in St. Paul, Minnesota. David Heid is on the faculty at Duke University teaching piano and working with singers as well as being in demand throughout the Raleigh/Durham/Chapel Hill area as a collaborative artist. He has worked with many of the area's leading organizations including Durham Choral Society, NC Symphony, Raleigh Chamber Music Guild, Mallarme Chamber Players, The Chamber Orchestra of the Triangle, NC Opera, Theater in the Park, Thompson Theater Summerfest, Long Leaf Opera and Triangle Opera.